A & J Fencing is a family owned custom fencing company and deck builder that has been servicing Clayton and the East Bay area for over a decade. In addition to our hardworking employees and thick, high-quality redwood materials, we also have a 15-year warranty and maintenance program to ensure the highest customer satisfaction. Founded in 1857 by Joel Clayton, this family community is in the top 100 places to live in the United States by Money Magazine. Clayton’s small town charm and big hearted families make it a great place to live. Nestled in the foothills of Mt. 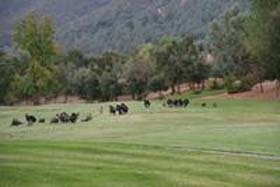 Diablo, this tight knit community features wonderful schools and many small town activities. A & J Fencing quality deer fencing allows you to preserve the beautiful views of Mt. Diablo. Clayton takes pride in its history, and A & J Fencing can provide beautiful decks, and patio covers that are sure to enhance your home’s appearance while keeping that old town feel. Our professional sales staff can help you customize and design your next project. Contact us today about your Clayton redwood fencing, decking and patio cover needs.